Property 6: Dog-friendly w/ breathtaking ocean views, seasonal pool & close beach access! Newly Remodeled 4,400 Square Foot Modern design with Pool and Spa. Property 9: Newly Remodeled 4,400 Square Foot Modern design with Pool and Spa. 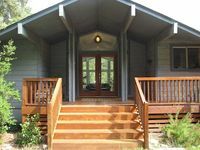 Property 18: House on the Creek - Treehouse Retreat - 10 minutes to Downtown! Gorgeous 500' Low-Bank Waterfront 7 Minutes from Chelan! Property 19: Gorgeous 500' Low-Bank Waterfront 7 Minutes from Chelan! 7 BR Manor - 10 min to Lynchburg & Appomattox Perfect for Family and Weddings! Property 27: 7 BR Manor - 10 min to Lynchburg & Appomattox Perfect for Family and Weddings! Enjoy w/Family & Friends, Big Dream Home w/Grand Views - Mtns./Course, Fire Pit! Property 28: Enjoy w/Family & Friends, Big Dream Home w/Grand Views - Mtns./Course, Fire Pit! Gorgeous oceanfront home w/ direct beach access, home comforts & ocean views! Property 29: Gorgeous oceanfront home w/ direct beach access, home comforts & ocean views! Property 44: Acre Estate with Pool and Jacuzzi. Property 45: Oceanfront Luxury! Breathtaking Location! 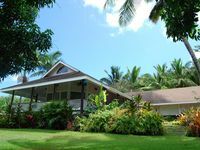 Property 50: Quiet and Tranquil Vacation Getaway w/ Yoga Room. Close to Theme Parks/LegoLand. This home was large and had what we needed...4 bedrooms/3 baths etc. It is spread out and there is plenty of sleeping room. It could stand some updating as well as a larger TV in a community room. Nice location in a woodsy environment. All in all we enjoyed our time there and didn't encounter any issues.